Taking equal inspiration from Django Reinhardt, and Western swing styles, country trio Hot Club of Cowtown has developed a reputation for jaw-dropping virtuosity that places them “at the very top of their game” (the New York Times). 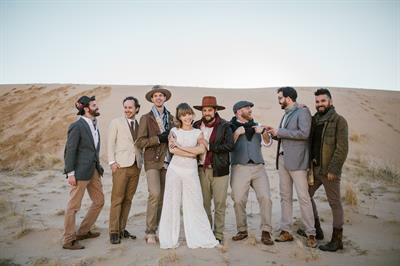 Los Angeles-based octet Dustbowl Revival seamlessly blends New Orleans jazz, bluegrass, and folk music into a joyous, old-school sound. Together, both groups celebrate the 50th anniversary of The Band, performing music from The Band’s classic albums “Music from Big Pink” and “The Band.” hotclubofcowtown.com. 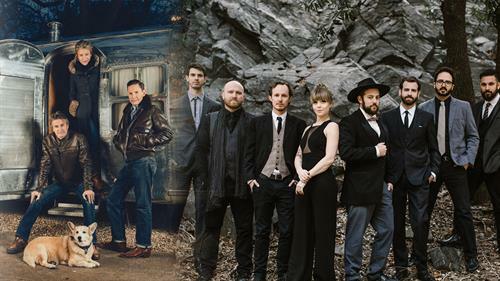 dustbowlrevival.com.